After completing four degrees, two masters, and my M.D. from the University of Alberta, I began my real-world education. I will tell anyone who asks me that everything I used to create my businesses were based on what I didn’t learn in school! 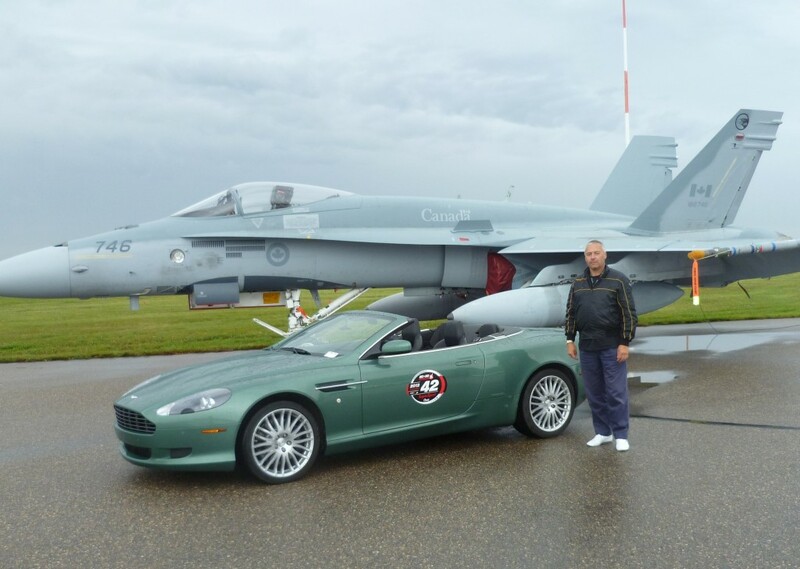 These businesses have afforded me the flexibility and freedom to do the things I really want to do with my time including drag racing my Aston Martin DB9 at the Cold Lake Race the Base 2012 weekend topping out at 280 km/hour!! When looking to purchase an Ebay course package, the most important aspect to consider is whether or not you are going to get an education or are you just going to be paying an ongoing fee with no real support provided. 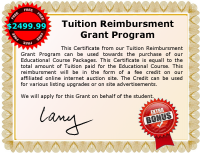 Generally a good educational package will give you a complete and well-rounded Education. What I mean by that, is that it will address all aspects of starting an Ebay business, even if you know nothing about Ebay and are starting from square one. It should include Basics about Ebay and how to properly set up your Ebay accounts. It should also give you information about safe buying practices and how to protect yourself if you are a purchaser. Currently about 95% of people using Ebay only use it for purchasing items for their own use. So even if you never sell an item on Ebay you will still learn how to buy properly. This is also very important from a seller’s perspective, in that you need to know the buyers concerns and how to address them properly. A good course should also cover both basic and advanced selling techniques. 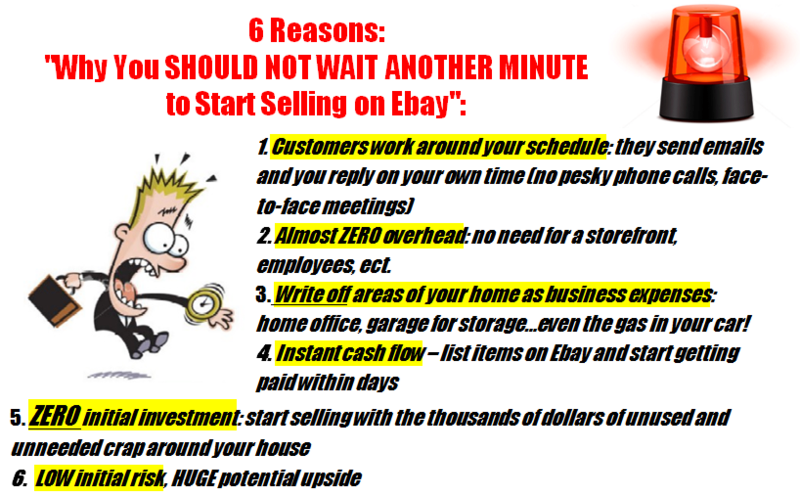 It should then move on to cover power selling and then explain how to turn your hobby into a thriving Internet business. 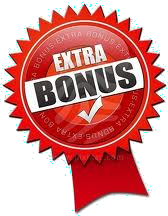 It should cover all forms of selling on Ebay, specifically auction format listing (with and without reserve prices), Dutch auctions, fixed price auctions or buy-it-now listings, and finally Ebay store listings. One benefit of a slow or declining economy is that there are a lot more business failures and bankruptcies. 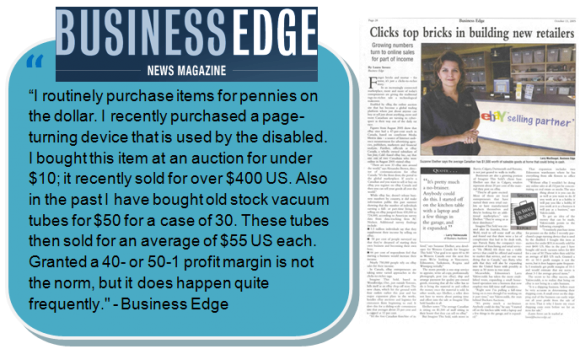 This provides for lots of distressed merchandise sales and auctions where we can pick up good salable merchandise for literally pennies on the dollar. Check your local news papers and I am pretty sure you will see at least a couple of bankruptcy auctions every month, regardless of what city you live in. Ebay started back in 1995 when Pierre Omidyar made up a website to sell his broken laser pointer. Then by 1997 the Ebay site had sold over 1 million items. Now Ebay is the world’s largest online shopping marketplace. In 2005 Ebay sold a gross merchandise volume of 45 Billion dollars. Ebay Operates worldwide in over 33 different countries, with over 200 million registered users. At any particular time Ebay has approximately 100 million items available for sale with over 6.5 million items added each day. It is estimated that a digital camera is sold every minute and a musical instrument is sold every 30 seconds. The most expensive item ever sold has been a Gulfstream Jet which went for 4.9 million dollars. Some people say the recession we are currently in, is a bad thing. I hear this everywhere I go, and at times I cannot keep myself from laughing out loud (lol for you texters). For people who know how things work and how to sell on Ebay, this so called recession is one of the best things to happen in recent times. Just another example of how contrarian thinking is probably the best way to look at things. Selling on Ebay is one of the best hedges against the recession, there is. Whenever the economy is down, people really start to conserve their money and look hard for bargains. The result of this is that everyone heads for the internet and directly to Ebay where they think they can get some real bargains. And this is where all of us power sellers are willing to help them by relieving them of their cash. Whenever the economy is down, Ebay sales are up. Selling is only a small part of an Ebay business, so a good course will also cover some of the other aspects you need to know about, such as how to take good item photos and how to write good item descriptions and titles. Other important areas that need to be covered are how to properly package and ship an item. Choosing the proper shipping service could make or break your business, so that better be covered in the course. Another very important topic that MUST be covered is the area of product sourcing. For those of you not familiar with this term, all it means is how to find items to sell. 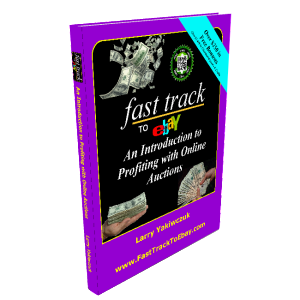 I consider this single topic to be one of the single most important aspects of a profitable Ebay business, and it could be the topic of an entire course by itself. Different routes of product sourcing includes, distressed merchandise auctions, garage sales, flea markets, and buying directly off the shelf. Other important product sourcing techniques that MUST be covered in a course are wholesaling, and drop shipping. Almost every business-in-a-box starter kits will shove a product on you that you have to sell like a slippery vacuum salesman. Not Ebay! You sell what you want, when you want, and choose the hours to work that you want. 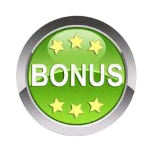 It’s is the perfect start-up business with tons of flexibility! A lot of people ask me about how to get a business started by selling on Ebay. My first response to them is that they get some education before they get started. 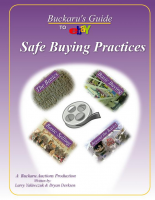 There are a lot of books and course materials out there about selling on Ebay. But before you go out and buy one of these packages, it is important that you do some due diligence first. Many people wonder how they can start selling on EBay, but they don’t have any physical products to sell. Well my standard answer to that is that you just need to start a consignment business. I personally think this is the simplest business in the world to start and make a profit from. In its simplest form you basically just sell someone else’s stuff and take a commission for doing the work. Consignment selling has huge benefits. Firstly as the seller, you will have almost no overhead costs. Your costs of inventory will be zero, since you will never have to buy anything to sell, because you are selling someone else’s stuff. Also you will not have to keep a large inventory on hand, let your consignors pay for the storage till you get around to selling the item. You will only take possession of the item when you are actually trying to sell it. 1. Do I need special skills? You don’t need any special skills to sell on Ebay, all you need is basic computer knowledge and be able to figure out how to use a digital camera. If you do have some kind of specialized knowledge that is even better as you can use that information to specialize your sales to specific markets. There is also no need to carry a large inventory. In fact when someone is just starting out, I recommend that they sell merchandise that they already have. The average person has between $1500 and $2000 worth of stuff sitting in their basement gathering dust. They could sell this stuff and never even miss it. Think of that ugly old Thing-a-ma-jig you got from your great aunt 2 years ago, which has been gathering dust in the closet. You have always been afraid to re-gift it because everyone knows she gave it to you. Well now you can sell it on Ebay and ship it across the country without her ever finding out that you got rid of it. Another big advantage about Ebay is that there is no big outlays of cash at start up. There is no special equipment needed, you don’t have to rent store space, and you don’t need employees. 2. Are there other products I will need to buy from you to make this system work? No. Everything you need is in this package. I am not selling you on a franchise. I am providing a complete business start-up manual from my success and from the thousands of dollars I have spent on education. P.S. 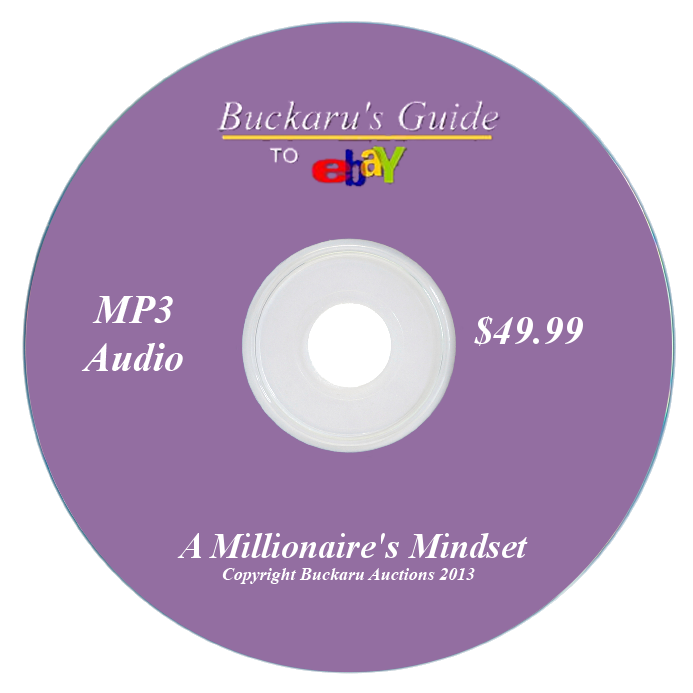 With “Buckaru’s Guide to eBay” you don’t need to spend thousands of dollars on other education or on acquiring a franchise. The most valuable item you get in buying a franchise is the operation manual, and I am giving you all the details of how I have started and run my eBay business that started with a few items on my kitchen table and now has grown into one of Canada’s largest eBay sellers, my own live auction house, and physical storefront. This knowledge has given me the freedom to do the things with my time that I really want to do. 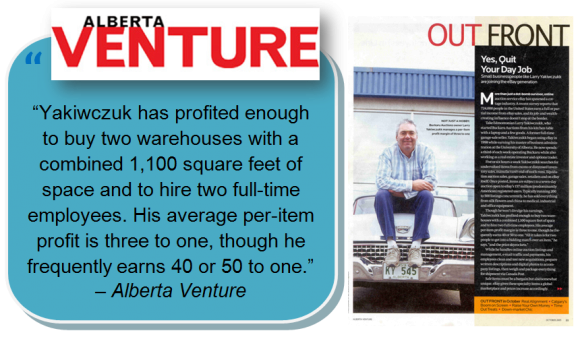 What can an average Joe do in volume and what kind of income can you earn? How much work is involved to earn $1,000 per week on Ebay? What are the possibilities of earning once you really get into it? Big mistakes novices make when they first get in? Dropshipping: how it really works! Where do you pick up most of the items you sell on Ebay? How Much Profit can You Expect to Earn on Ebay? Printer cartridges: bought for $1 each sold for $25 each times 1,000 cartridges! (2400% return) – I took one retailer’s entire stock of new but stale-dated printer cartridges at $1 each…I advertised them as stale-dated and sold them for up to $24.95 US. We recently picked up 2 pallets of computer systems and our average cost was $1.50 per computer system! Another important aspect of a good course is that it presents realistic goals and expectations. If a course promoter tells you that you are going to get rich within 7 days, I would be a bit skeptical. But if they tell you that you will probably pay for the course in a few months, then that is a little more realistic. Don’t get me wrong here, you can make really big profits really quickly, if you put your mind to it and do things properly, but don’t count on it happening right off the start. Another important consideration to look at is whom the course is meant for. Is the course appropriate for Canadians or is it specifically written for the US market and are we just an additional cash cow for the US marketer? I consider this a very important point as most of the current books and course packages are written and produced for the American market and as such have little or no Canadian content. Trust me, selling from Canada is very different than selling from the US, and a good course will address those differences. Like I said before, I think that eBay business is the perfect home based business and I have built this whole course to help you right from your kitchen table, from exactly where I started! 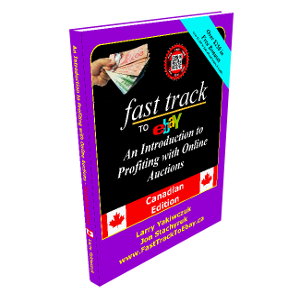 This is a second-to-none eBay business starter kit and the ONLY Canadian-Based Product of its kind! Do buyers ever balk at shipping prices with products coming from Canada? How do you deal with it? What is Ebay Canada and is there any benefit to using it? What are the differences between it and the US Ebay.com? I am going to go totally off the topic of Ebay for a moment, and into what I consider the most important aspect of any business or investment venture you are ever going to get involved with. And that is the concept of making a decision and taking action. They may sound like two totally different concepts but in reality they are actually the exact same concept! It is said that all successful people make a decision within the first 30 seconds of hearing about an opportunity, and I truly believe this. When I am at an auction and purchasing items to sell on Ebay, I use this concept constantly. At a live auction you need to make instantaneous decisions about an item. If you stop to think about it, even for a few seconds, the item will be sold to someone else, and you have missed your chance. The seminar presenter was just so startled that he was speechless for a few seconds (and if you know this presenter, you know he is NEVER speechless). Well this turned out to be a classic case where people just refused to take action, even when everyone wanted this prize. By lunchtime NO ONE had approached me yet to claim the prize! I seriously thought it was going to go to waste. Then timidly one lady approached me and asked if I still had the prize and if I was serious about what I said. I told her I could not believe no one had claimed it yet. She gave me the $200 and was ecstatic about getting the cruise package. And the clincher was that she was an inner circle member and the only reason she took action was that she had recognized me from other fasttrack events. And as it turned out she was the ONLY person to approach me about the offer. Can you believe it? Out of 200 people in attendance (everyone of them wanted the prize), and I was offering it to them for 25% of value and no one else could be bothered to take any action. My congratulations go out to that brave lady who took action and is now cruising the Caribbean. Remember If you are right, then great. If you are wrong, then you can do something to correct the problems. It is the procrastination that generally kills you, or eats the life out of you. What I consider the most important aspect of any business or investment venture you are ever going to get involved with is the concept of making a decision and taking action. They may sound like two totally different concepts but in reality they are actually the exact same concept! It is said that all successful people make a decision within the first 30 seconds of hearing about an opportunity, and I truly believe this. If you can cultivate the ability to make a decision and take immediate action you will ultimately become successful in whatever you do. Remember in most cases it does not matter if the decision you make is right or wrong, the important thing is that you made a decision. If you are right, then great. If you are wrong, then you can do something to correct the problems. It is the procrastination that generally kills you, or eats the life out of you. then you actually need this book more than you know! Copyright © 2016 Fast Track to eBay. All Rights Reserved.